When Katie and I first sat down to talk about our wedding invitations, we knew we wanted to do them ourselves and were up to the challenge of figuring out something that would fit in with our summer wedding theme. 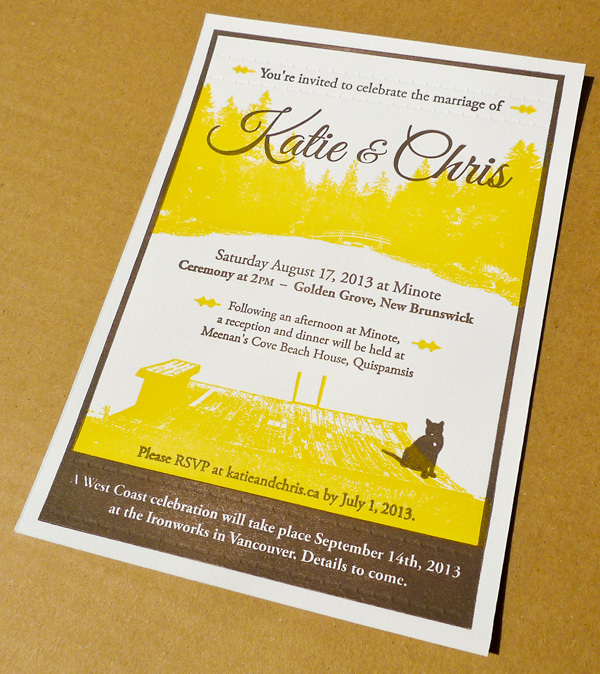 Katie had been looking around on some sites (and lots and lots of Pinterest boards) doing research into all kinds of wedding-related projects, when she noticed that letterpressed invites kept coming up. 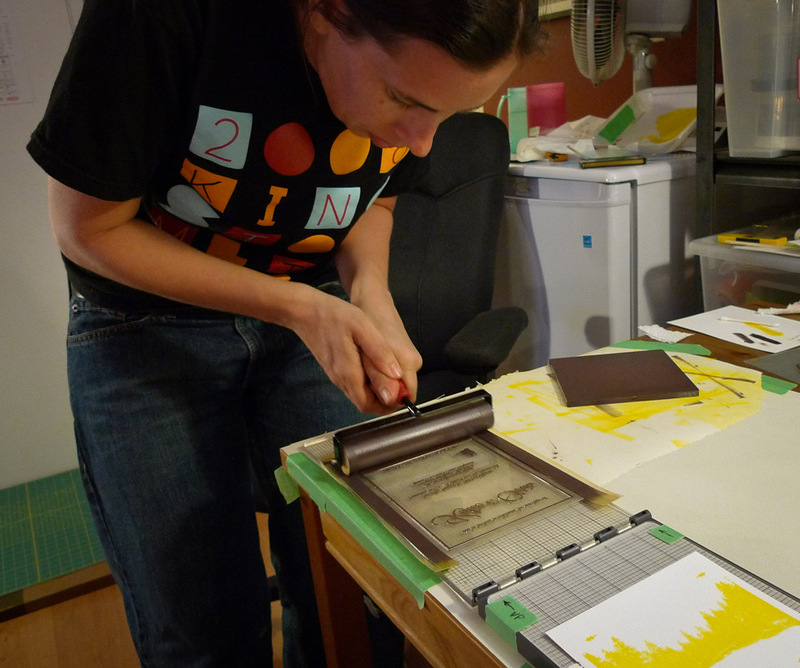 Letterpress is an old-fashioned style of printing that’s come back into vogue in recent years. We both love the look of it but it is usually extremely expensive and wouldn’t be something that could be done without large machinery. The great thing about letterpress printing is the ink is actually pressed into the paper, creating a nice texture and depth. There are limitations to what you can do with it, which is also one of the things that make it unique. 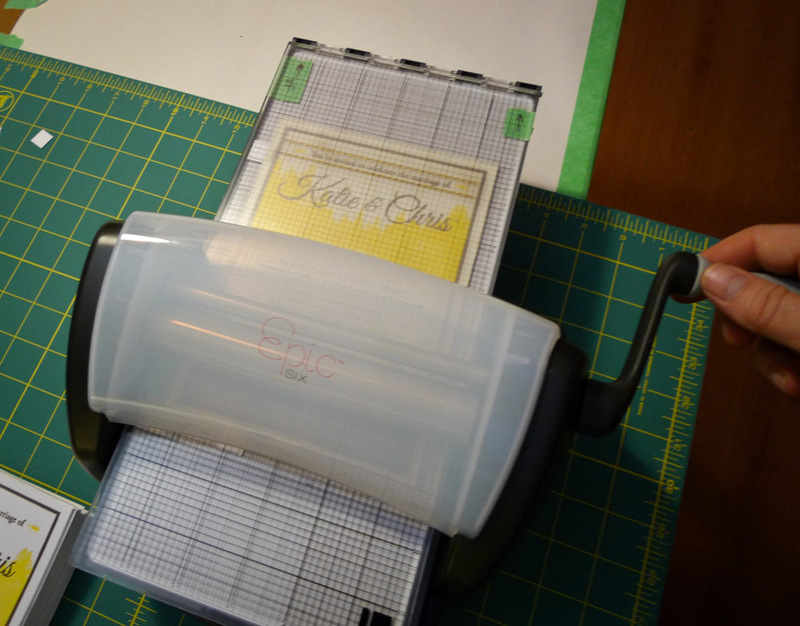 Katie discovered a ‘hobby’ letterpress machine that people were raving about, and from the reviews and examples online it appears that it was able to get pretty close to professional printing, but there was lots of reading and videos to watch to figure it all out. Being the master of Craigslist that she is, Katie found a local woman who was selling the exact machine we were looking for, and also had some of the modifications and tools required to make the printer work like we wanted to, so this was a sign we were heading in the right direction. If the video isn’t loading large enough (above), you can view it here on our YouTube page. 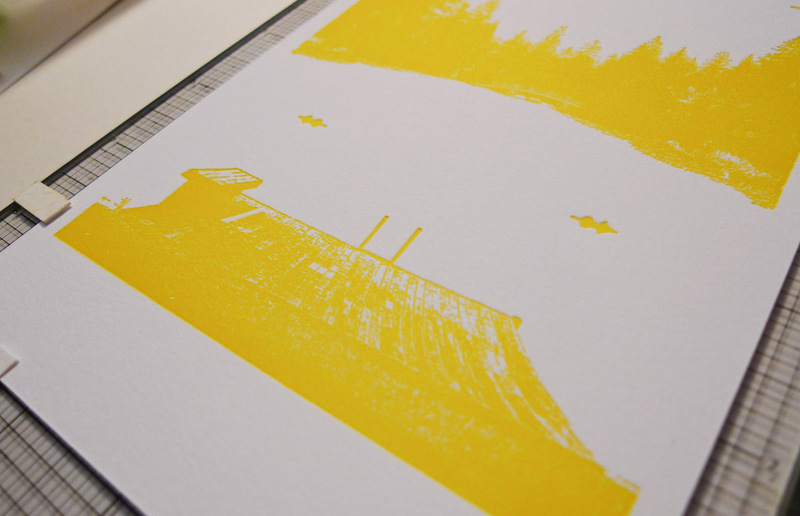 The way that letterpress works is that you run a piece of paper through a “press” machine which applies pressure and creates an impression as well as lays down ink on the areas of a pre-made plate that have had ink applied to them. In ancient times plates were created by individually lining up letters and other elements on the press. It took ages and you could only use fonts that you had the letters for, in the size that you had on-hand. More recent presses are able to use photo-polymer plates that are created much in the same way that photos are developed. A hard plastic is exposed with your design which hardens certain areas and other parts turn soft and are able to wash off. 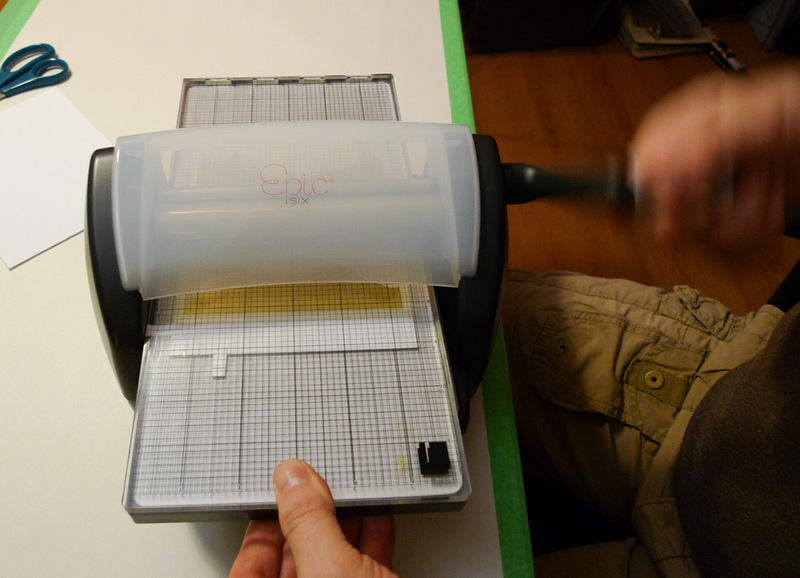 This creates the areas that you will apply ink to and create an impression on the paper. This being our first letterpress job, we knew we wanted to keep things simple, so no more than two colours (the more colours you do, the more chance you have of misregistration on press). 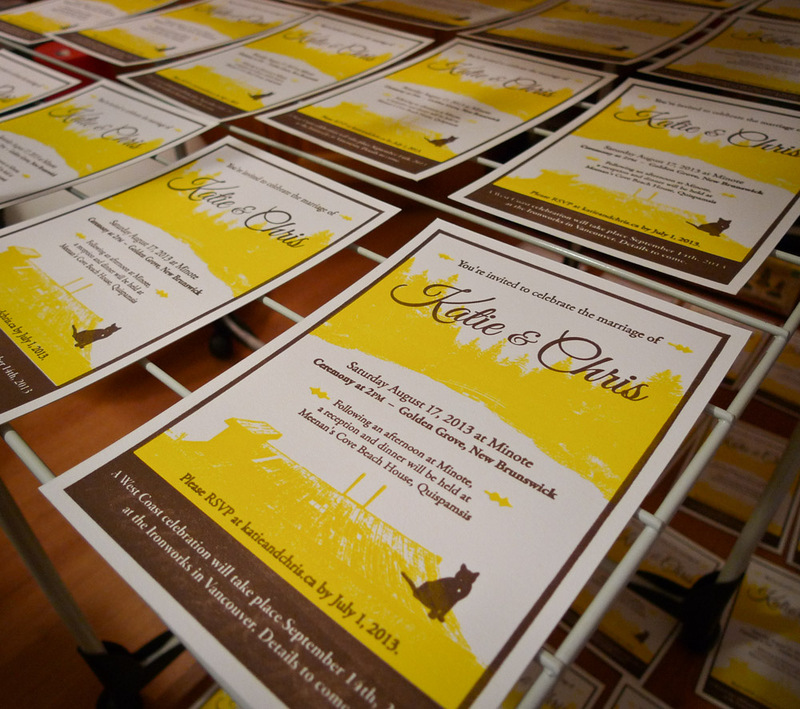 As far as the colour selection for the invitations, yellow is the main colour for our summer wedding, so that was easy. We wanted to make sure that the other elements were going to be legible on the special white paper, so brown fit the bill for a contrasting colour. There’s also a third plate, a simple blind deboss stitching that ties into the stitched graphic on this website, so that was the final touch. Three nights worth of cutting paper, mixing inks, printing, and a little bit of swearing got the job done, and we’re really happy with how 95% of them turned out (some of the text in the bottom brown field filled in a little), but for our first time doing this, we’ll call it a success. 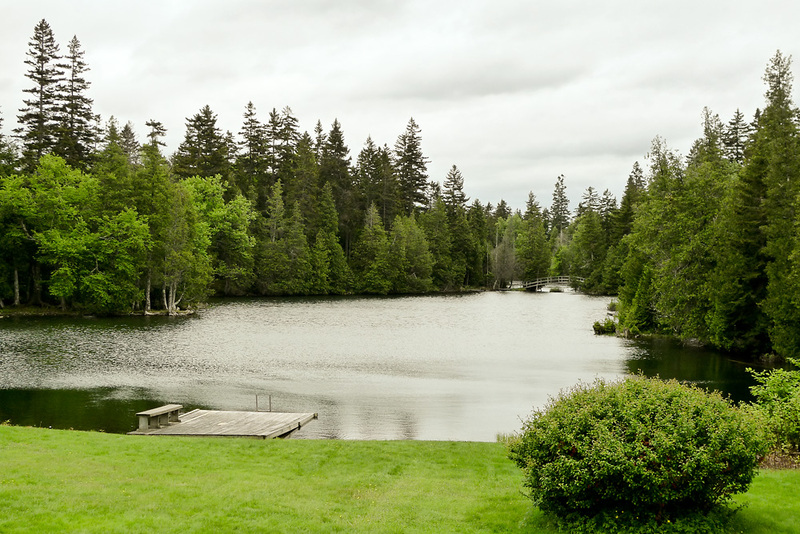 Many of you on the East Coast that received this invite will recognize the dock on the lake as the one at Minote, the family property that’s been in the Teed family for generations. 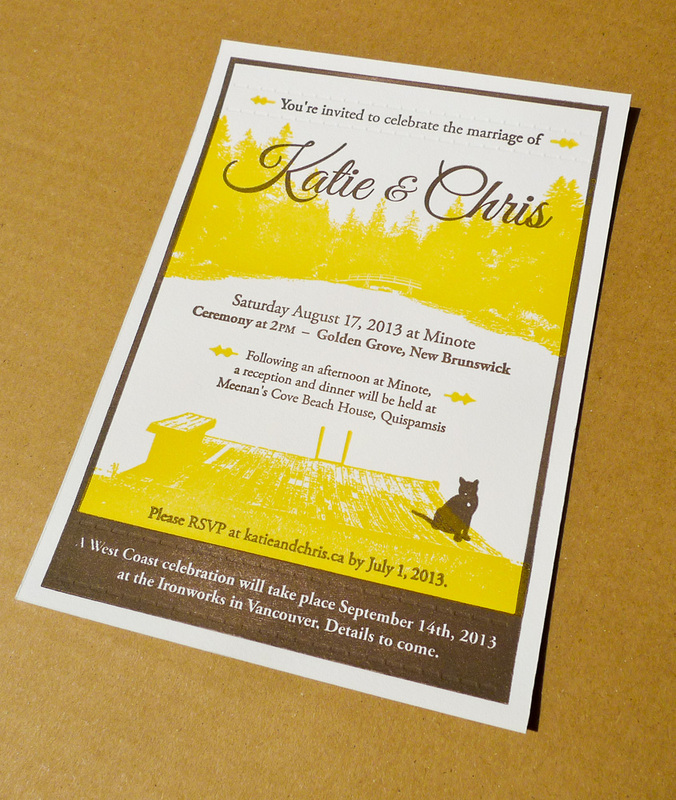 Chris knew almost from the beginning that he wanted to use a Minote image on the invitation design because it’s a very special place in Katie’s heart, he proposed to her on the bridge you can see in the background, and the wedding ceremony is happening on the dock in the foreground. One challenge we had with the invitation is where exactly is Minote? It is out in a rural area near the Saint John airport but not really in the city (although technically within city limits). For those who are not from the area and may like to look up the location on a map we decided to put that the location was Golden Grove, which you can look up on Google Maps and is the closest to the Minote property, although technically Minote isn’t “in” Golden Grove as it is a general area. We hope this slight inaccuracy makes it easier for out-of-towners to have a better idea of where Minote for trip planning and knowing how far hotels and other facilities are from the wedding ceremony location. Oh, and that cat you see sitting on the dock is Nik. He was our cat that was diagnosed last August with lymphoma (specifically intestinal and bowel cancer). We had to make the difficult decision late in March of this year to put him down because his health had gone downhill quickly in the last few weeks. This was right before we’d started designing the invitations, and so we decided to include him on the invite since he’d been in Chris’ life for more than 13 years, and Katie’s life the past 5 years. I’m going to go ahead and say he’d probably be on the invite all the same even if he was still with us… We miss the little bugger dearly. In real life though, Nik would have had no joy sitting on a dock near that much water, that just wasn’t his thing. Hope you enjoyed learning more about the invitation you received – hope to see you at either our wedding on the East Coast (RSVP here! ), or our West Coast reception in September (more details on that to come). Chris sets up the registration guides. 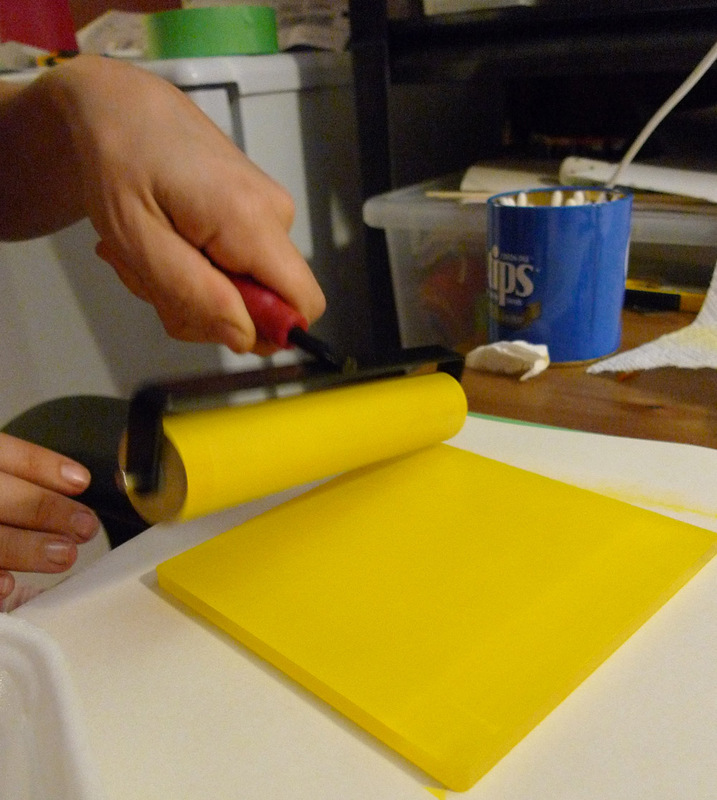 Katie mixes the ink, and spreads it thin on the brayer. 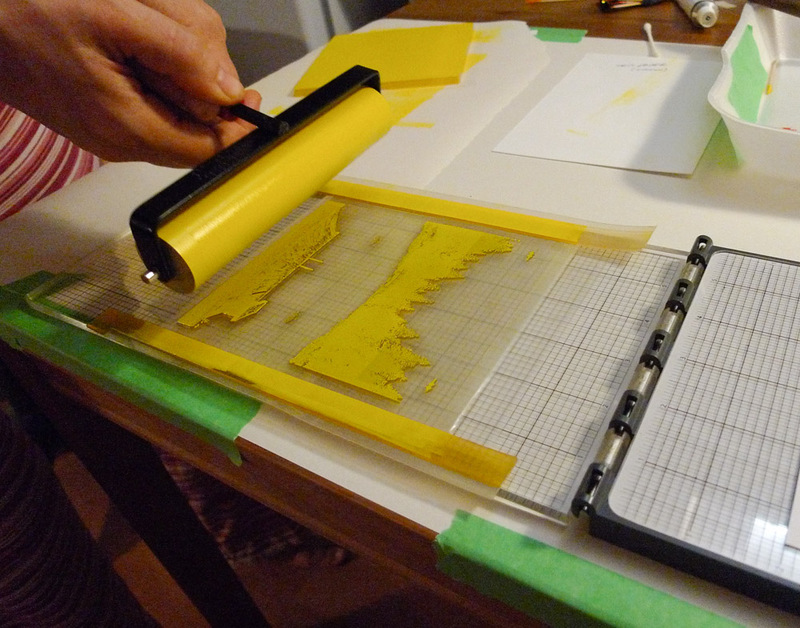 Using the brayer, she inks the first plate. 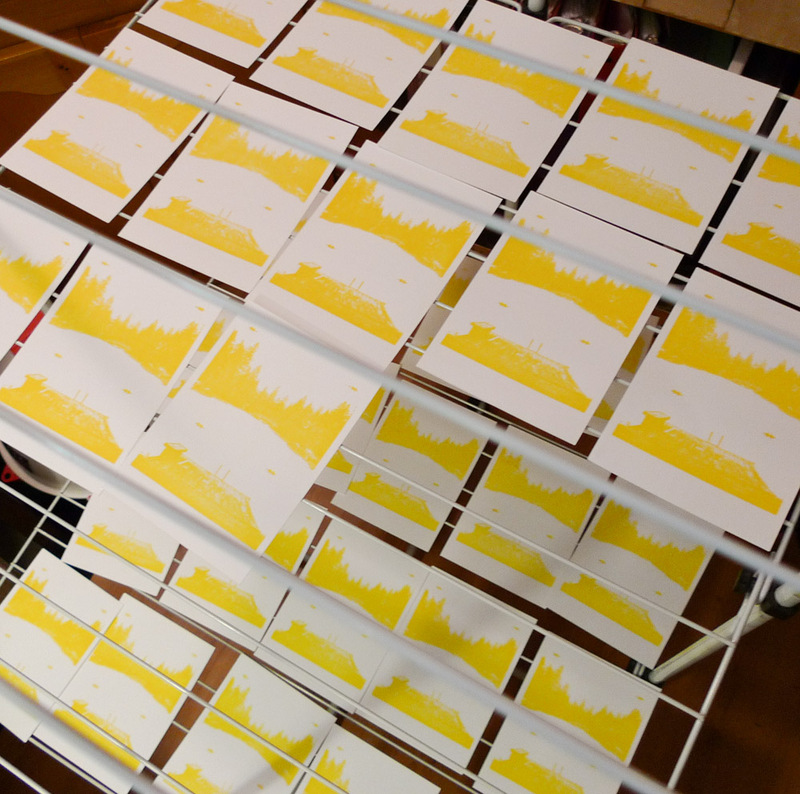 The first ink goes down, and run through the Epic L Letterpress machine. The yellow impression works out well. 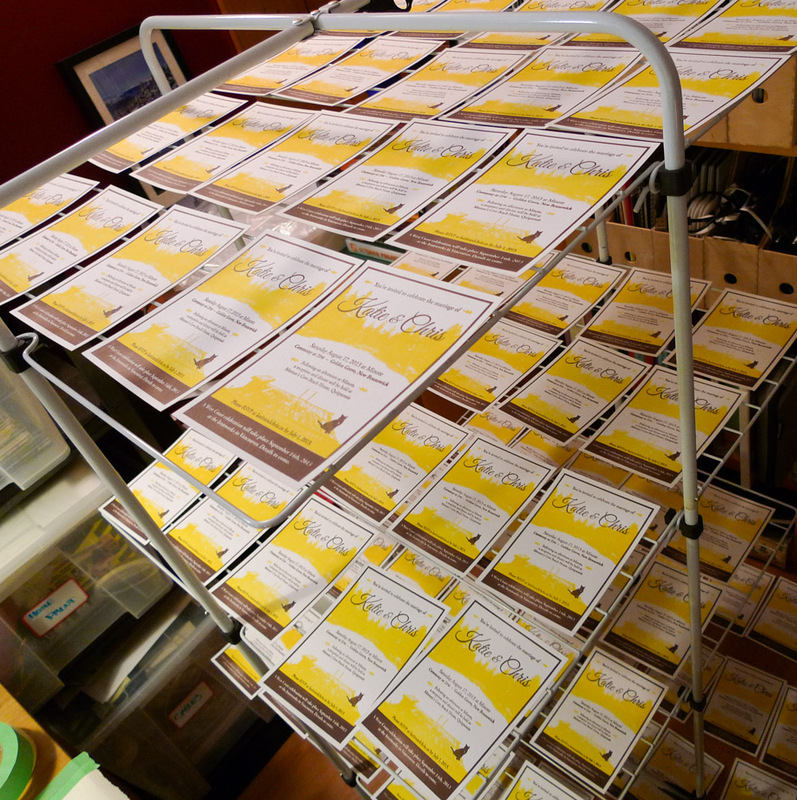 A clothes drying rack serves us well to hold about 90 invitations as the yellow ink dries. On the second night, it’s time to apply the brown ink. 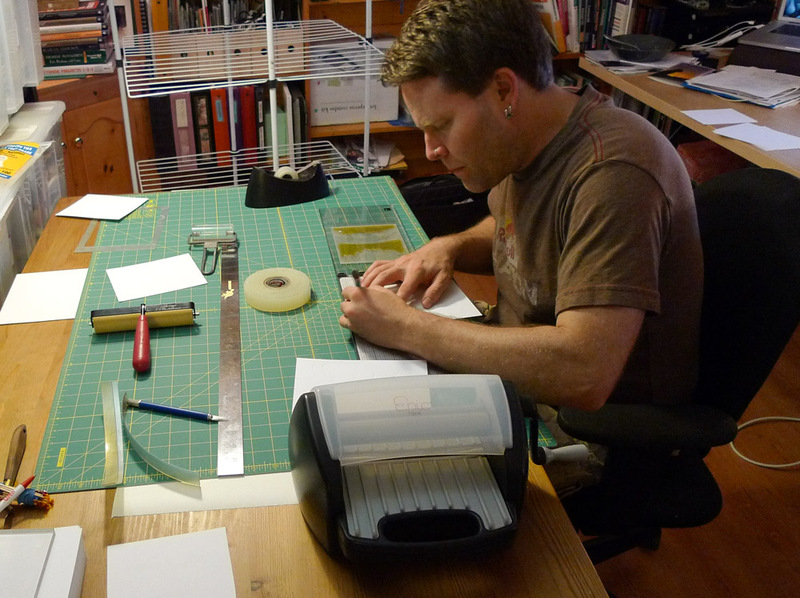 Chris rolls the second plate through the letterpress. 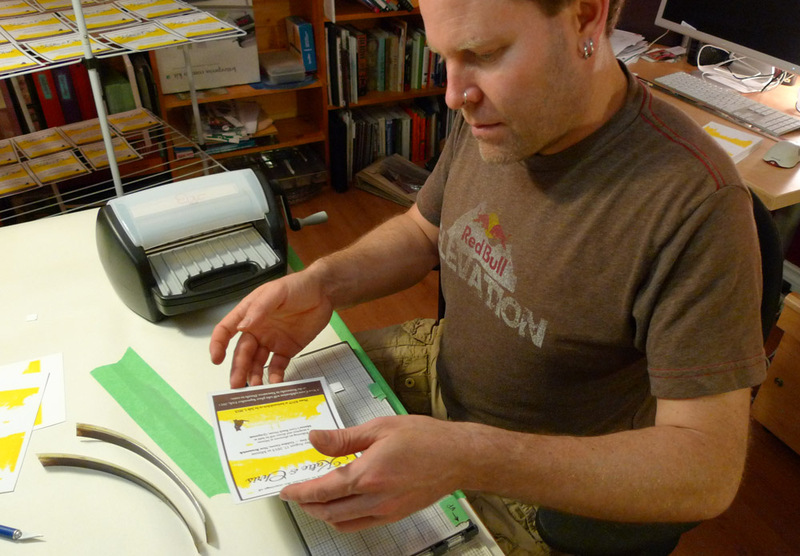 Ink registration looks good as Chris pulls it off the printing bed. A little detail of little Nick. The clothes rack is full again for a second night of drying. 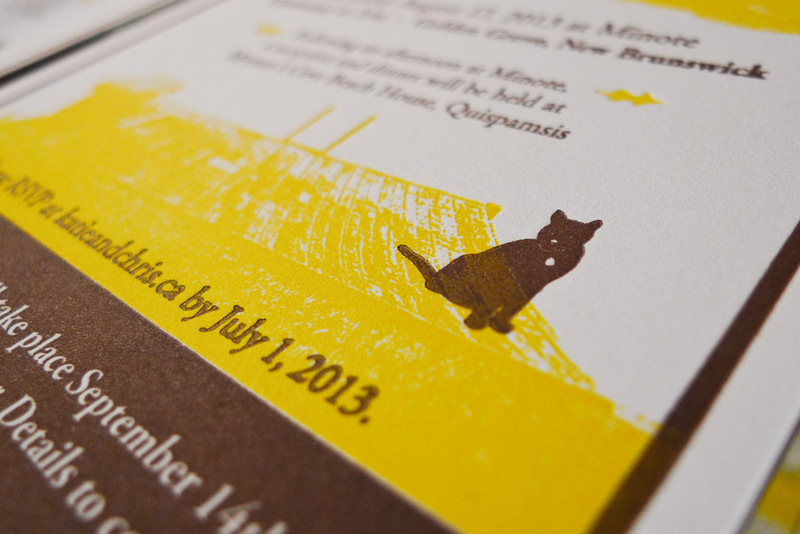 Close-up of just the yellow and brown ink. 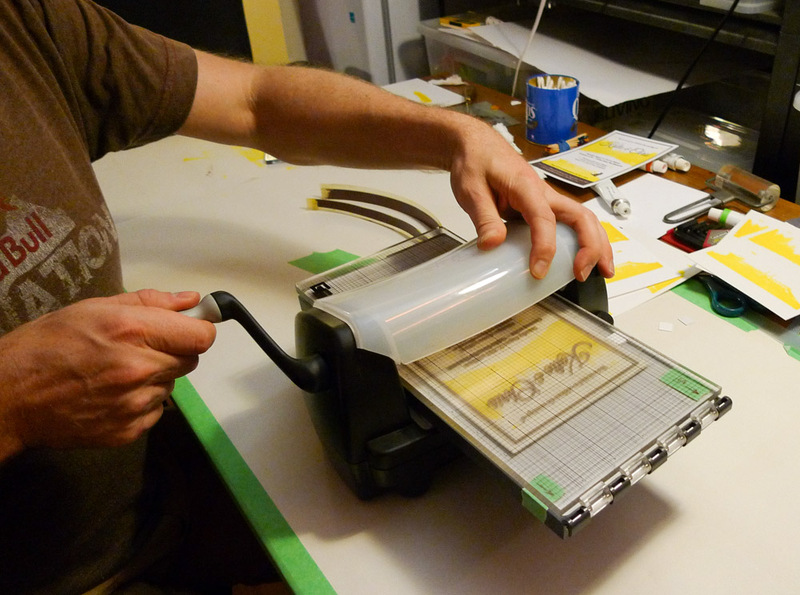 Finally, the last plate which is a simple blind deboss is applied (the stitching at top and bottom). Voila! The final invitation is done!